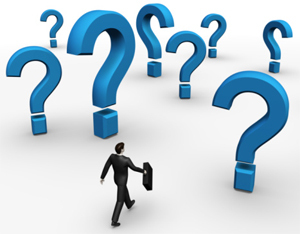 MLM Training- Are YOU Asking Yourself these Success Questions? You are Here: MLM Network Marketing Training PassionFire » MLM Training » Home Business MLM Training Articles » MLM Training- Are YOU Asking Yourself these Success Questions? MLM Questions are the ANSWER. How powerful are the questions you ask yourself in your home business? Do you ever feel that you should ask yourself different questions in your network marketing business? How powerful are the questions that you ask about your future- or do you ever ask any questions concerning your mlm success and personal development? Questions often are the answers in our business and personal development. But often we do not ASK the questions that will change our lives and mlm business. They MAKE YOU THINK and probe other possibilities for your mlm network marketing business. Questions can STRETCH YOU as well and make you see things in a bigger and more bolder light. This often is how Success shows up in your mlm home business. Questions also are the “magnets” that PULL in the answers you often need to know. But often in network marketing, we are afraid to ask the questions that need to be asked concerning ourselves and our personal development. The questions that you ask in life will determine what you get in life. Are you asking questions that STRETCH you and GROW YOU? Or stagnate you and limit you? Most network marketers ask the questions that LIMIT them, not grow them. Limiting questions often are more comfortable. They often are easier to answer. That is why many ask that level of question. The first word in “Question” is QUEST. Questions are the fruit of the quest you are on in life concerning your home business and personal development. Are you on a quest for Greatness? Or are you on a quest for Limits and less and do not even know it? Are you on a quest that will take you to new heights or new frustration? 1) Why isn’t this working? 3) Will this really work? 4) What do I need to do? These are questions that you can ask yourself in your personal development for your home business and mlm network marketing business.